By utilizing grown diamonds instead of mined diamonds Ada can ensure that there is little to no harm to ecosystems, wildlife or communities in the creation of our diamonds, whereas mining diamonds out of the Earth has been proven to harm animals around the world. While mining diamonds requires diesel and dynamite, growing diamonds only requires carbon and electricity. Because carbon is abundant and electricity can be sourced from renewable sources, laboratory-grown diamonds are truly sustainable. Despite the best efforts of the mining industry to expand diamond mining operations around the world, humanity has already passed ‘peak diamond,’ extracting 25% fewer carats in 2016 than a decade ago. 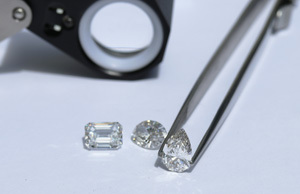 Each marginal carat mined is more difficult to extract and more energy intensive than the last as all the easy to get diamonds have already been extracted.